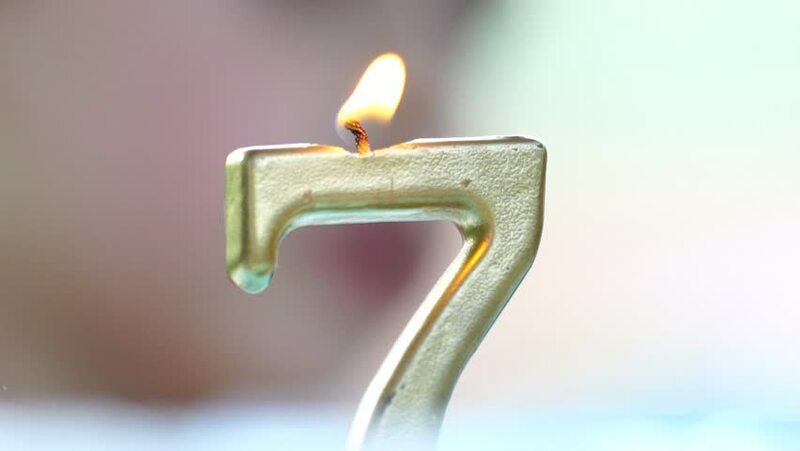 SLOW MOTION: Close up shot of a birthday cake candle in a shape of number seven. Seventh birthday of a boy or a girl. It is blown out by an anonymous birthday boy. 4k00:17Small yellow candle burning in the Asia Buddhist temple with dark background. Thai yellow Buddhist candle with candle flame and wind blow in the dark. hd00:29Whisky in a glass on glass table and dark background, selective focus.